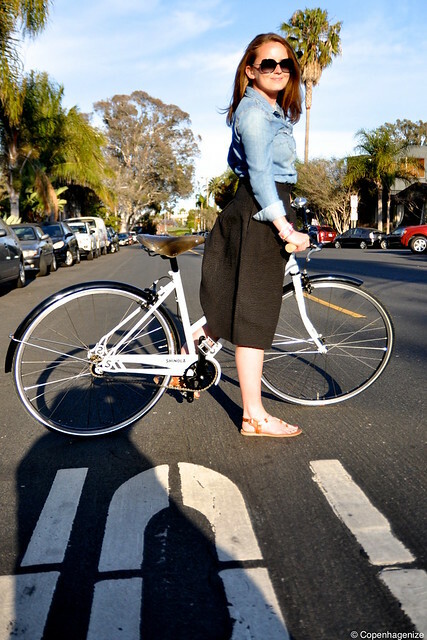 Clotilde, Head of Copenhagenize France, was in Venice (CA, USA) a few weeks ago to discover what Los Angeles and Santa Monica have to offer in terms of public spaces and bicycle infrastructure. Outcome : quite a lot actually! But first, let's focus on a unique street, which is gradually turning into the Mecca of stylish urban cycling: Abbot Kinney Boulevard. 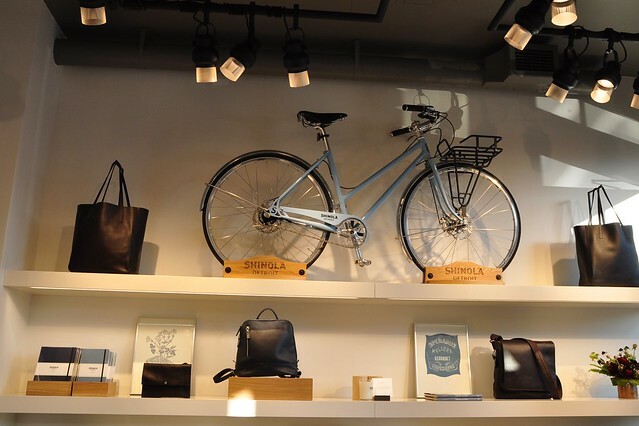 Three years ago, only Linus Bike (Dutch inspired bicycles) has a store on this hip street. 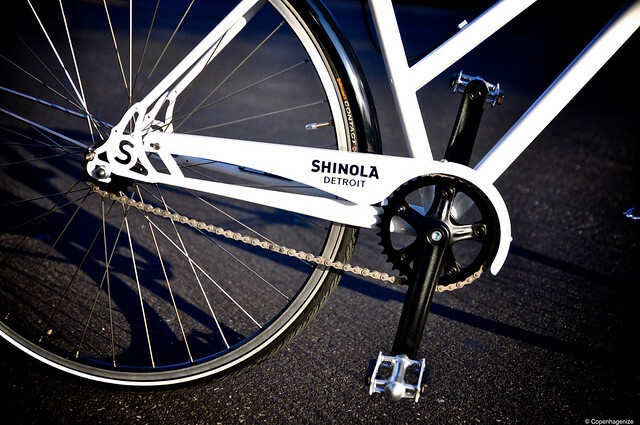 Now, Shinola, and cycling accessories brands, like Rapha and Timbuk2 are well established. 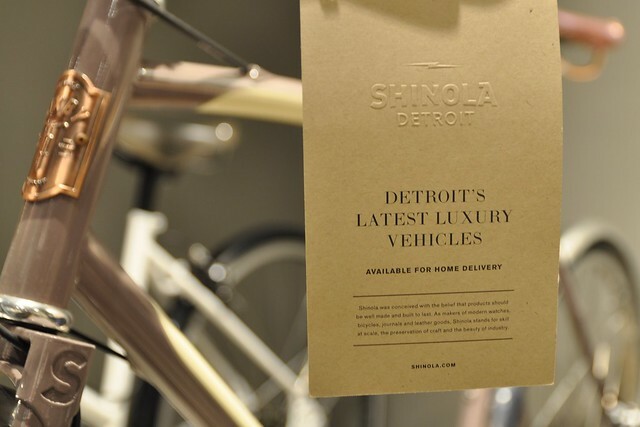 Shinola is a stylish brand from Detroit (MI), producing bikes, watches, and leather bags. 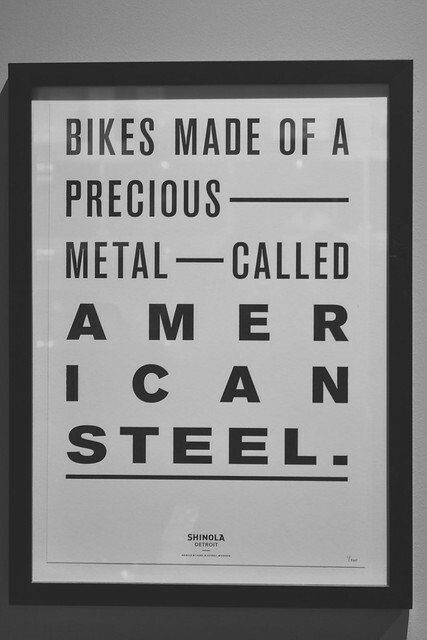 It's obviously a brand which wants to promote the American industrial know-how and put it back at the forefront. 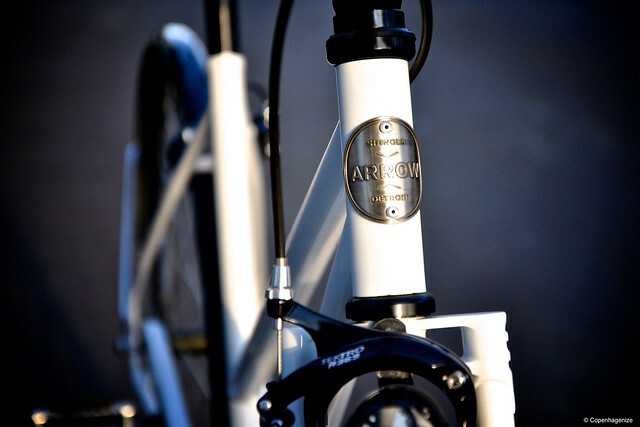 Clotilde has test-driven the Women's Detroit Arrow, a black & white qualitative single-speed bike, with leather saddle and cork grips. 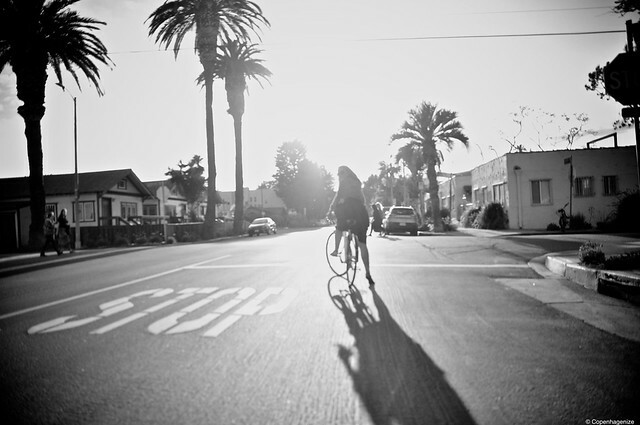 It was also the opportunity to realise a photo shooting with a Cycle Chic touch and palm trees in the background. Bye the way, the city of Detroit, is the birthplace of American automotive industry. But "Motor City" is living a real shift and politicians have the will to offer to their inhabitants all the modern urban mobility solutions including cycling.